This product is supplied with two sizes of pin and one ball fitment, to ensure that it will match the various possible cables found on these vehicles. 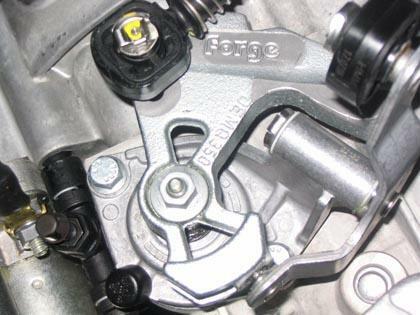 This replacement adjustable sideshifter will allow you to shorten the side to side movement of your gear shift in order to obtain the optimum shifting times required for performance driving . You can personally customise the lateral movement to suit your own preference due to an infinitely adjustable pivot mechanism. This unit will fit all VAG 6 speed gear boxes. The Unit is supplied with both pin and ball fixings to suit either type of cable fixing, as found on these vehicles. was very happy that i found this product10.00 cheaper even with shipping than the next company!